Welcome to the universe of Galactic Dreams, where fairy tales are reimagined for a new age—the future. In each Galactic Dreams Volume 2 novel you’ll find an old tale reborn with a mixture of romance, technology, aliens and adventure. But this time, each Prince and Princess, each band of intrepid heroes, is fighting the same enemy – an entity so vast that he can span centuries and not everyone is guaranteed to survive. 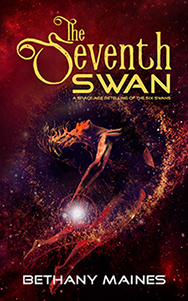 Volume 2 features The Little Nebula, The Glitter of Gold, and The Seventh Swan from authors Bethany Maines, Karen Harris Tully, and J. M. Phillippe. Welcome to the universe of Galactic Dreams, where fairy tales are reimagined for a new age—the future. In each Galactic Dreams novella you’ll find an old tale reborn with a mixture of romance, technology, aliens and adventure. But beware, a perilous quest awaits behind every star and getting home again will depend on a good spaceship, true love, and maybe just a hint of magic. Galactic Dreams is a unique series of science-fiction novellas featuring retellings of classic tales, all sharing the same universe, technology, and history. 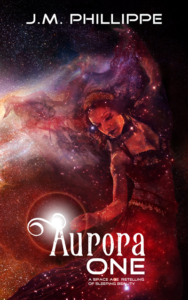 Galactic Dreams Volume 1 features When Stars Take Flight, Soldier Princess, Rebel Spy, and Aurora One, inspired by Thumbelina, Mulan, and Sleeping Beauty, from authors Bethany Maines, Karen Harris Tully, and J. M. Phillippe. Ruled by the Royals from their distant moon, colony planet Lyric labors under the burden of outrageous tithes and a deadly plague. Rebel soldier, Wei Meilin experienced both struggles first-hand when, unable to pay the tithe and purchase the cure, her family was destroyed by the plague. Meilin survived, but not without receiving a powerful plague “gift” all her own. Now she’s out for revenge and to dethrone cruel Empress Ming-Zhu. 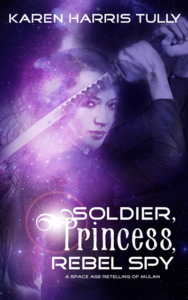 But when Meilin infiltrates the gilded moon palace disguised as a bride candidate for annoyingly handsome Prince Cormorin, she discovers that he may not be the monster she thinks, and the Rebels may be aligned with a force that will end them all. Chavri Aisling should have died on her naming day. Instead, after being poisoned during an assassination attempt, she lives her life hiding behind masks, veils, and force-fields, never able to share the same air as anyone else. But the princess of Moarga Province is determined not to let her illness stop her from finding the one thing her planet desperately needs—metal that can be used to make more space ships so that her people can find the other lost colonies of Earth. 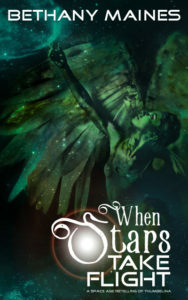 Her search takes her into an unexplored corner of her solar system where a terrifying discovery leaves her frozen. Resuscitated by the least-likely “prince” over three generations later, Chavri has one chance to save what’s left of Moarga from invasion, and the love of her life from a fate worse than death.